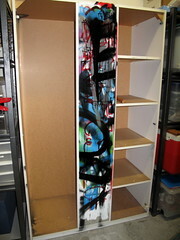 Items awaiting their trip to the thrift store. Ebay auctions items that we haven’t dealt with yet. Things that belong to the children that will move on when they do. Things that we are not real sure we want to get rid of or not. And I dare say there are more than a few things that we just haven’t considered for decluttering yet. What ever the reason, I am OK with that. One thing a day is all I have committed to do and I am happy to continue at that pace even if it takes longer than the 365 days. 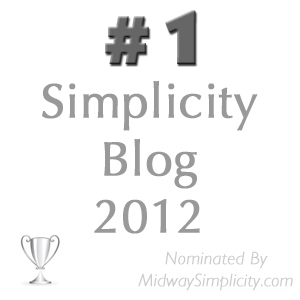 I am more than satisfied with the progress we have made, and with the benefits I discovered that came with going slow. Being calm and relaxed about the process and knowing that the lessons I learned along the way are now engrained into my psyche. 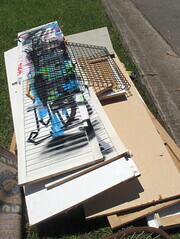 We dismantled the wardrobe that took up valuable real estate in the garage and put it out on the street during bulk waste pick up week. You can see this item in the middle of the Before photo at the top of the page. Most of the items removed from it were either disposed of during the pick up week or found a new home in the garage where once again something has been disposed of to make way for them. I featured some of the other items on Days 308 to 313 and Days 318 to 321. Being able to play CD’s on the laptop – when you want to stay sitting next to your husband but don’t want to listen to the c**p on TV. Music – I really don’t stop to listen to it often enough while my children can’t live without it. My new little ebook – I hope everyone picks up a copy it is free to subscribers new and old. A chance to show our gratitude – Liam, hubby and I went back to the ICU and Ward G2 today to thank the staff for taking care of Liam for the first two week after his accident. Liam didn’t recognise anyone but they sure remembered him and were glad he was doing so well. We hope they enjoy the cards and chocolates we delivered as a token of our gratitude. Oh my Colleen, is it a bad sign for me that I didn’t think the before shot looked like it needed work? 🙂 I can see there are many days of work ahead of me, if I compare where you’ve started with where I’m starting. Ah well it’s all relative and any forward progress is progress. So glad to hear Liam and your family are making healthy progress. I had a little chuckle when I read your comment. I would like to point out I am a bit of a tidy freak and perfectionist so don’t be alarmed. We all have to start somewhere so long as we start that is the main thing. Just remember one step at a time. Hahaha! I’m totally with Susan. I *hope* to get my garage looking like the before! Hi, Colleen, I’m catching up with you after not checking in because I have had company for three days. 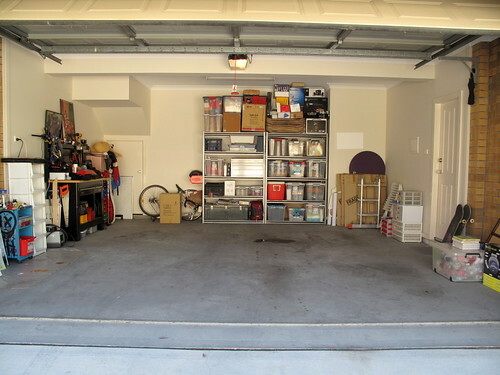 Your garage hardly looks cluttered in the before photo! But I do see the difference in the after picture. Such good news about Liam! I hope you had a nice time with your daughter-in-law. Thank you for the compliment on my garage and thank you for the well wishes for Liam. He will be home for the weekend and most likely discharged very soon after that. We will find out today at a meeting with the medical staff. Fingers crossed. 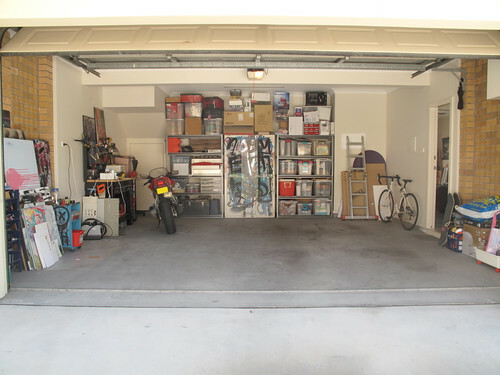 I have to say that I have never even seen such a clean garage before, and that goes for both pictures! I look forward to when the job is complete and I can share the end result photo. I’ve only seen one garage cleaner than yours – and I probably don’t need to tell you that it isn’t mine 🙂 Great job. And even greater that Liam has made such progress in such a short, short time. Continued best wishes for all of you – these things affect the whole family, don’t they. I am inspired to finish that garage just to see how much better it will look. As for Liam we have just brought him home. He will be officially discharged tomorrow so long as he doesn’t have any problems through the night. We don’t expect any problems. It looks great! The before shot is already pretty good! I have always been organised but clutter is clutter no matter how organised it is. it doesn’t matter how long the road is so long and you keep travelling down it. Just think of it a s a road trip of exploration only the thing you are exploring is yourself and the concept of living with less. For me, I don’t care if this trip takes the 365 days or 3 years I am happy to be on it for the long haul. Just remember to fill you gas tank with a little love occasionally by rewarding yourself for your efforts. Good luck and bon voyage! I am with you on that. They are before and after shots but not a completed project. I hope it will be a lot emptier before I am satisfied with it. In fact all the stuff sitting along the right wall is stuff to go to the thrift shop or ebay auctions. It will never be empty though because there is always some useful stuff to be kept. you certainly have got the idea that I was going for there. As I was saying to Olga earlier, most of the items along the RH wall are items for the thrift store or to go up for auction on ebay. I would also like to eliminated at least half of the boxes on the back shelves including half the Christmas decorations. Then I may be satisfied with the result. It just goes to show how much organised clutter that has been lingering in my house and even after 323 things have been removed there are still plenty of items left to consider. HA! Before and After both look better than mine. HA! Alright, now I have to get out there and clean. Ah! The garage it is the holding area for the stuff leaving the house and sometimes they get held there for far too long. Your comment enticed me to get up and take a better look out there and compare it to the photos on this post. Alas it looks worse than both those photos for more reasons than one. There is too much stuff waiting decisions on how best to move it on, there is too much stuff waiting to move on with the children when they leave home and there is a big pile of tiling supplies that should have been used today but the tiler was not happy with the job the builders had done. My husband did delegate a bunch of stuff to the get rid of pile last weekend but unfortunately it is now just waiting to be moved on. I look forward to having my car back so I can start taking care of that issue. The good part is though that once I do sell or donate it the garage will look better than both photos. I know this is an older post, but I don’t think anyone caught on. What e-Book? By the way: the garage was amazing before as well 🙂 I can understand the tweaks that we don’t like.